Location: South side of Green Street . 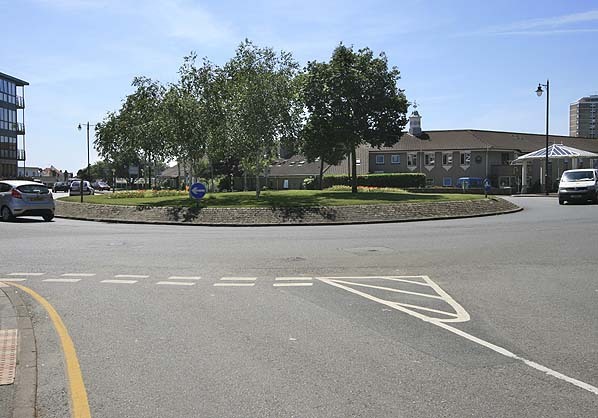 Present state: Demolished - the Green Street roundabout is now on the site of the station. Notes: Snow Hill station was sited at the base of Mont de la Ville upon which Fort Regent was completed in 1814. 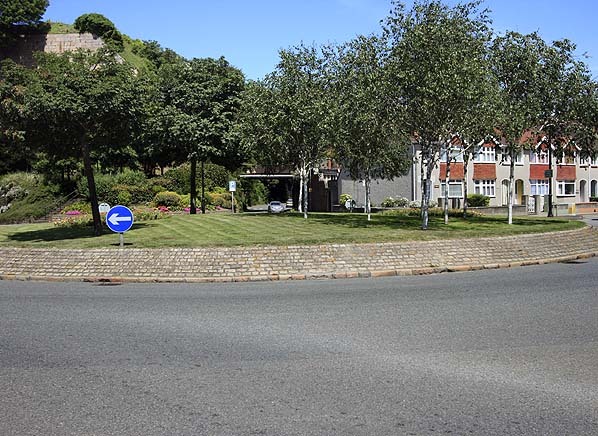 In order to reach the town centre there was no possible route around Mont de la Ville, so a 600' long and in places 70' deep cutting had to be excavated through the outcrop. Due to the time involved to excavate the cutting the station wasn't ready when the line opened in August 1873 so a temporary terminus was opened adjacent to the JER's locomotive depot at Green Street which allowed time to complete the cutting and build Snow Hill station. 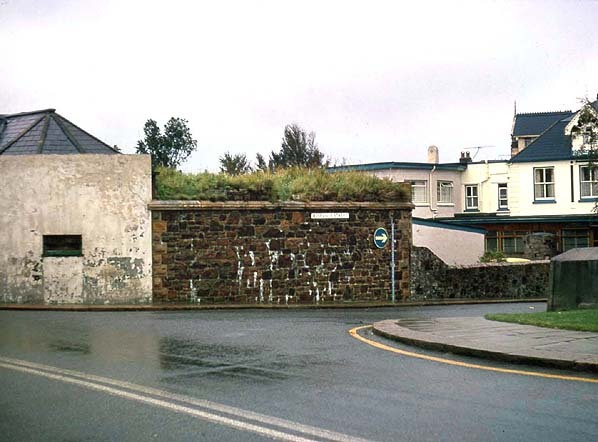 Green Street opened with the first section of the Jersey Eastern Railway on 7th August 1873. The station had a single timber platform sited on the down side of the line, adjacent to the two road engine shed and two road carriage shed. The station closed on 5th May 1874 and the new terminus opened the following day. Green Street station was quickly demolished, the site had been earmarked for a coal depot but this was never built. 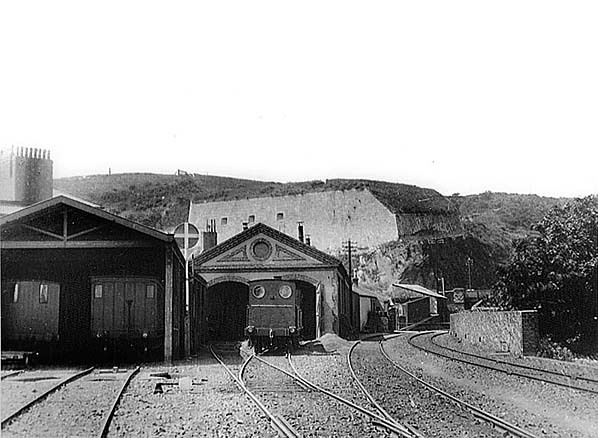 After closure of the line the engine and carriage shed was converted into a bus garage and workshop for Safety Coach Service Ltd. (Jersey Motor Transport from 1946) but was demolished c.1950s as part of a road widening scheme. 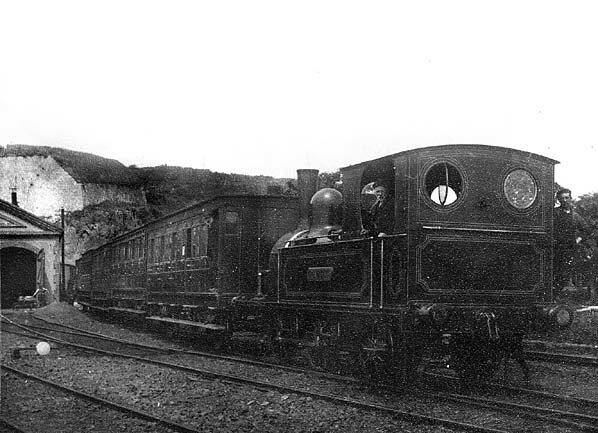 In an attempt to halt this slump and reduce running costs there was a proposal to use steam railcars, and in February 1925 it was announced that a number of halts were to be built, together with a new station at Le Bourg which opened on 25th March 1925. Only one of the proposed halts (at Pontorson Lane) was built, and a delay in introducing railcars (they started operating on the J R & T in 1923) probably hastened the eventual closure of the line. Rail cars would only have delayed the inevitable. Green Street engine shed (centre) and carriage shed (left). The temporary Green Street station was to the right of the engine shed. Green Street engine shed with a train standing in the site of Green Street station. Roseville Street bridge south east of Green Street in 1973. The bridge abutment has now been demolished. Looking south and the site of Green Street level crossing and station in June 2010. Looking north at the site of Green Street station June 2010. Beyond the roundabout the start of the cutting into Snow Hill station can be seen with Fort Regent on the hill to the left.